I’ve been so gagging for this Christmas break. Some much-needed time to rest, reflect and recharge from a busy and funny old year (more on that later this week). Sat here full of the Christmas binge, I’m happy to have finally eased into proper chill time, although the thought of going for today’s run isn’t filling me with much joy. 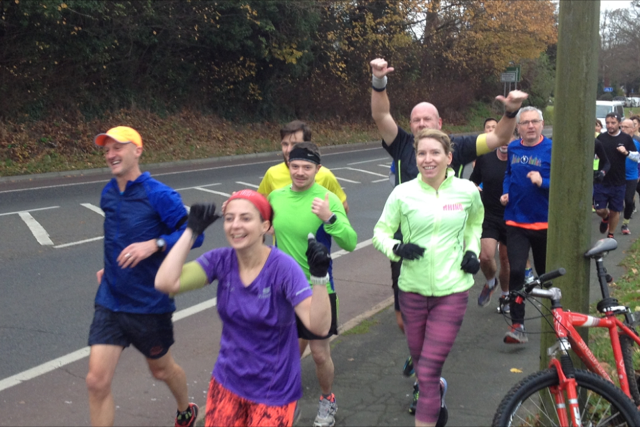 We’ve been building up to the first week of marathon training with RunBrighton for the past month. I say we – I mean me and the hubs. After playing an ace game at spectating and supporting me for 2014 and 2015 Brighton Marathons, Chris has decided to give the big 26.2 a go for himself. And, he knows how jealous I get so is letting me run it again too… on the condition that I get him loads of support on race day and help him reach his fundraising target for Cancer Research. 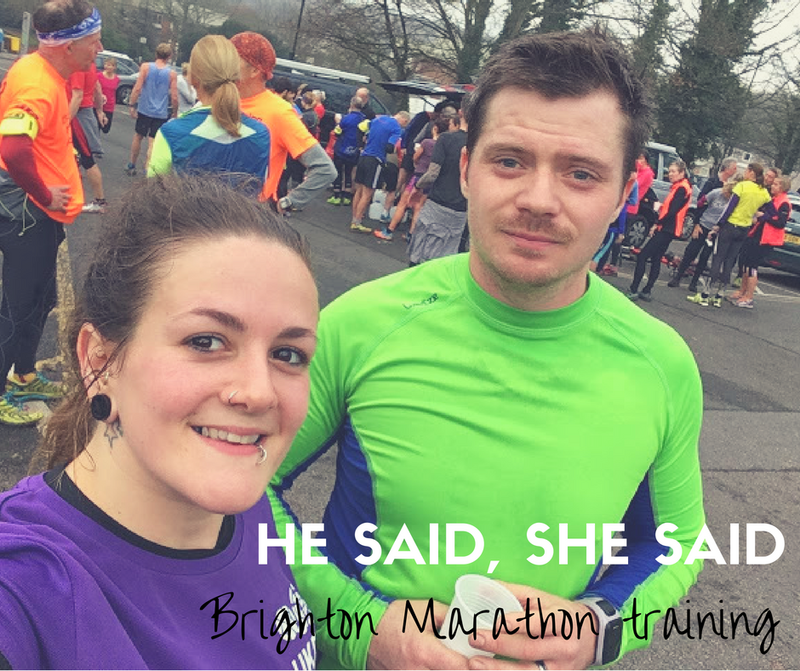 So here marks the start of a new blogging series I want to run throughout marathon training. I’ve blogged my own journey here lots but I thought it’d be fun to give two different perspectives this year: one from a slower, third-time marathon runner looking for a 4hrs30 PB, and the other from a beginner speed demon on his first experience of distance running. Running’s not comfy at all for me at the moment. I know it’ll get easier with some consistent training – something I haven’t really given my full attention to just yet while I’ve been building up to Christmas. Don’t get me wrong, I *have* been running, just not much more than a couple of times a week, and the official 16 week training plan started last week so it’s scary to think we’re already in week 2. 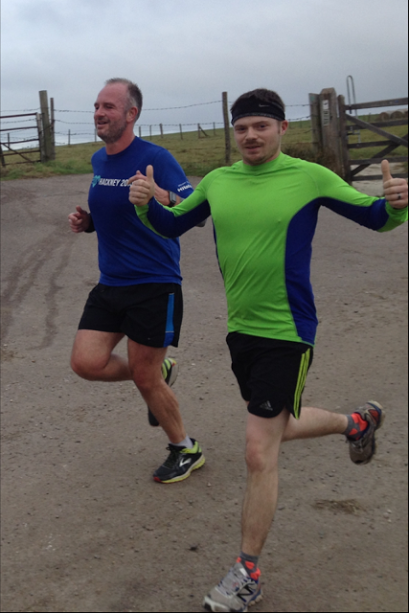 The RunBrighton long runs started a month ago, to build up a base before the training plan kicked off. I started off very ambitious and joined the 4hrs15 pace group for the RunBrighton long runs, but last week dropped back to the 4hrs30 group when I realised it was just that bit too fast to be easy pace. I’m hoping once I’ve got a few good weeks of consistent training under my belt, it’ll all slip into place and my body will remember what it feels like to run strong. 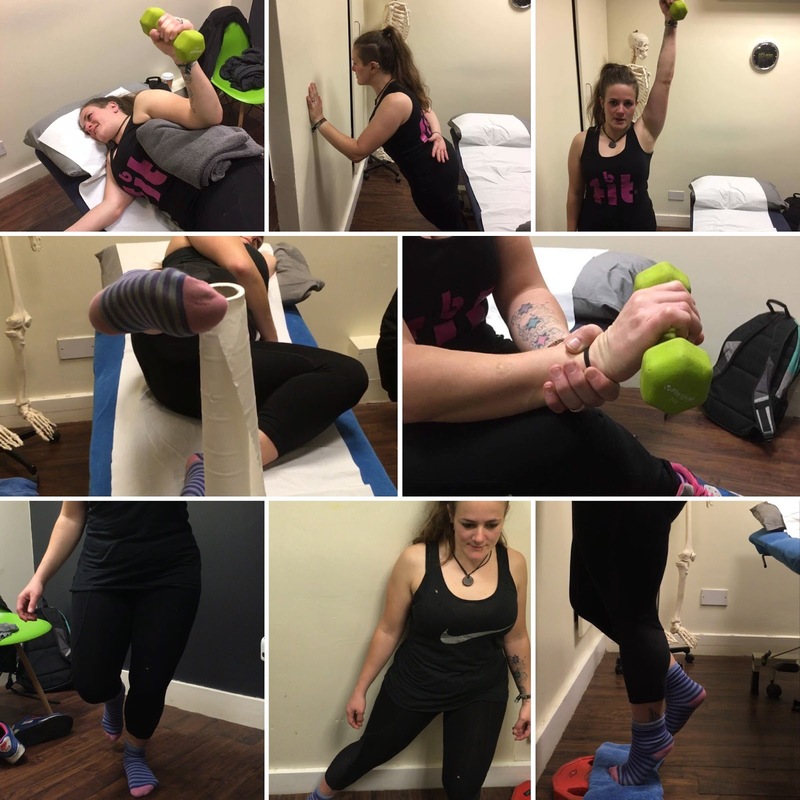 At the mo I’m also in the middle of a five week block of PT sessions with Brighton PT Amy Jordan at Love Life Fitness – we’re trying to build strength back up in my body since my collarbone and wrist break, and I’ve also been going to physio to get my legs strong for running again. I’ve got weak glutes and hamstrings, and need to work on my core and calf and hip flexibility too. Basically a shopping list of weak spots for both my PT and physio Tom at The Physio Rooms in Brighton to get stuck into! Ask me again in a month if my body still hates me! Right now I’m shitting a brick. I’m scared I’m going to get injured, my legs hurt, and I’m probably in the wrong pace group. But being as stubborn as I am, I’m just gonna continue until I realise otherwise. I don’t know where I’m going with it at the moment. Maybe when I properly get into the training during the week I’ll get a better idea of my actual pace. Everyone always takes the piss out of me because they think that I don’t train, but I do. I just don’t follow regimented training plans, I go for a run every now and then because I enjoy it. This will be the first time I’ve ever followed a training plan. 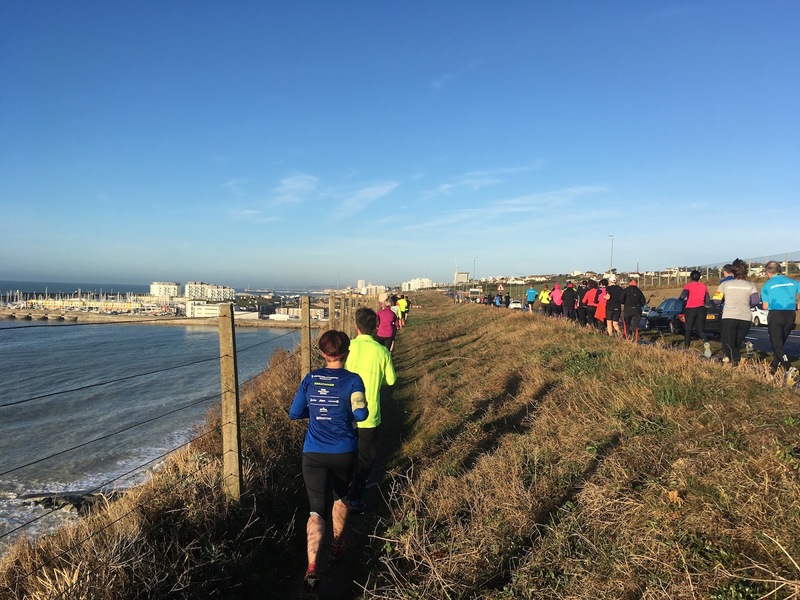 RunBrighton’s great – nice, friendly people. Committed, dedicated runners, especially in the groups I’ve been running in. They’re competitive, but everyone gets on and supports each other. There’s definitely an underlying air of competitiveness, especially in the 3:15 group, maybe not against each other, but instead against ourselves. On the first RunBrighton long run I ran in the 3:30 group at a pace of 9minute/miles, I thought this was too slow and me and one other ended up naturally speeding off doing 8:20min/mi, which turned out to be the right long run pace for the 3:15 group, so I stuck with them. Overall advice from a couple of other runners and a RunBrighton Ambassador was to move up a group and see how it goes, I can always drop back if I need to. But maybe my competitiveness will get the better of me. Running on Christmas day was hard work getting up. We didn’t get in til 1:30am the night before and woke up at 7:30 for the 45min long run on the plan. After a breakfast of tea, coffee and Christmas presents, I braved a very windy Hastings seafront from Old Town to Bulverhythe. It was anything but comfy. Shin splints, bad knees, bad everything. It was the first time during running I’ve really considered not doing it. I was well off pace by at least a minute per mile. I’m blaming the wind and the Christmas binge, but I’m doing Dryathlon for January so let’s hope my muscles appreciate it! I really like running with Tess, we’re not running together – but we get up together, start together, and finish together. I’ve been a spectator for two years, taking my bike down to the marathon route to wave and cheer on Tess – I get the buzz every year to do it, but I always bottle out. This year, I’ve committed myself to run for a cause close to my heart so I can’t back out now.